Posted February 2, 2018 by Naseem Khalili. We are so excited to support our missionaries from Awakening who are traveling to Haiti this spring. Stop by the table on Sunday mornings to peek through the beautiful handmade prints created by our own Britni Chon. You can also buy online here. 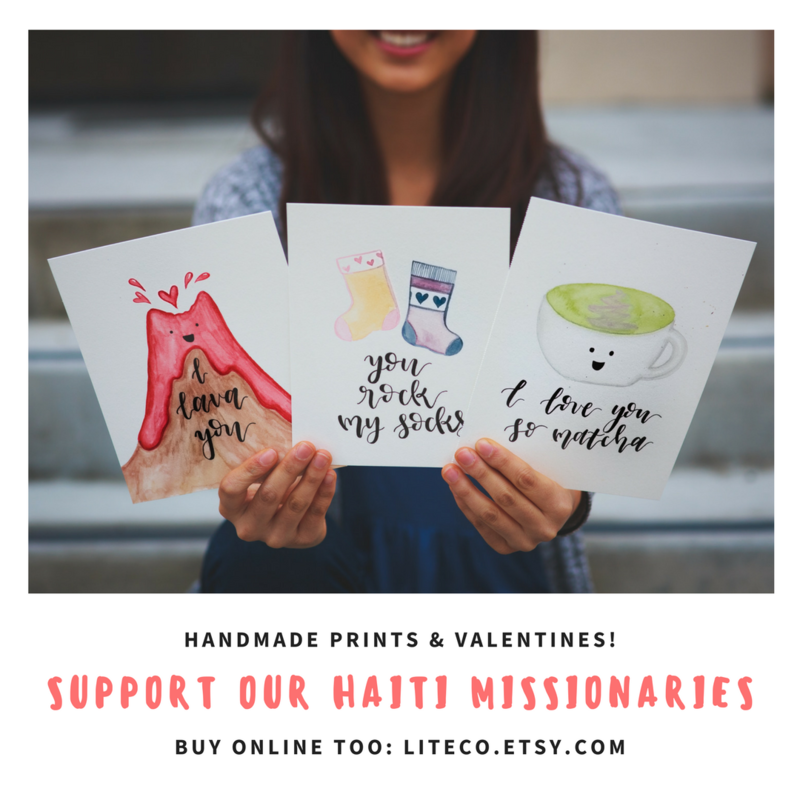 These are perfect gifts for Valentine’s Day or just for your own wall prints at home or at work!